Junior Mike Brady winding up before blowing it past his opponent. Junior Reno Zemrak starts the season with a .323 batting average and 8 RBIs. Despite the chilly temperatures and occasional snow flurries, baseball season is underway for the Lawrence University baseball team. Their season actually started at the end of last term with a double-header against Elmhurst College on March 2. However, things really got going over spring break as the team traveled down to Florida for a plethora of games in the sunshine state. The Vikings played nine games over the course of eight days during the trip. They were 2-7 overall, but there were some impressive offensive showings throughout. On Thursday, Mar. 21, Lawrence put up an astounding 21 runs en route to a victory over Maine-Farmington. They closed out strong, scoring 10 runs in the final three innings. 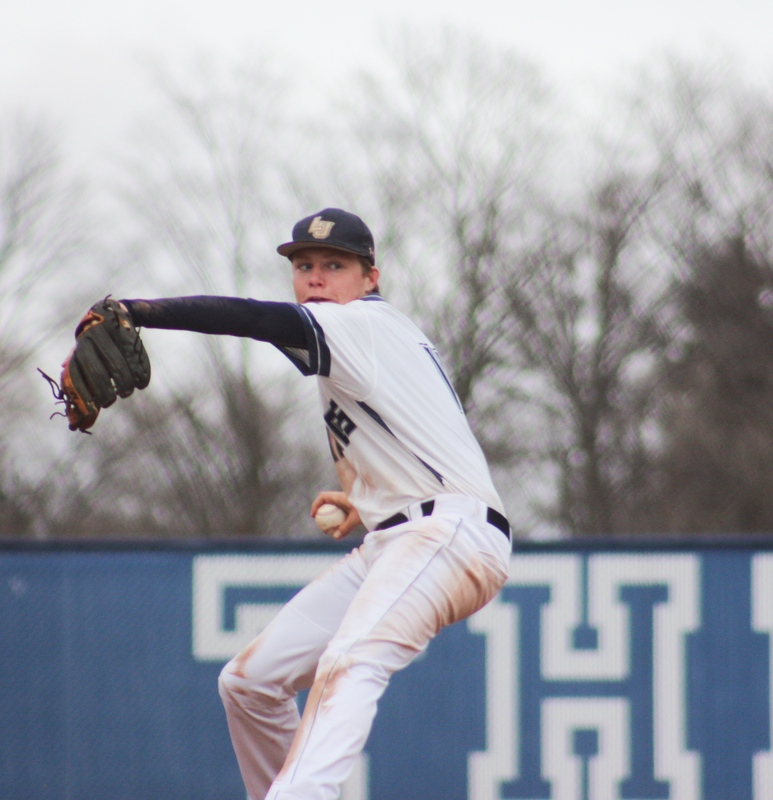 The Vikings were led by senior Andrew Lauber who went 5-for-7 with two doubles, five runs scored and two runs batted in. Junior Rudy Mueller-Schrader also had a strong performance going 4-for-6 with a double, a triple, two runs scored and two runs batted in. As a team, Lawrence had 19 hits and 15 runs batted in during the contest. The team’s game against Minnesota-Morris the following day was another high point for the Vikings who claimed the victory in convincing fashion with a score of 18-3. Junior Reno Zemrak went 4-for-4 in the game and two doubles, four runs scored and two runs batted in. Spencer also had a perfect 3-for-3 showing with a triple, three runs batted in and two runs scored. Spencer had a particularly good trip, as he hit .478 while down in Florida earning him Midwest Conference Player of the Week honors. The Vikings start their quest for the conference tournament as they host St. Norbert this Saturday, Apr. 6, for a double-header starting at noon. They then will travel to De Pere, Wis. as St. Norbert hosts a double-header on Sunday, Apr. 7.